When negotiating, can you detect lies based on someone’s expressions, or the impression that he makes on you? You’ve no doubt heard the expression, “He lied to me with a straight face.” The body never lies. So, when someone is lying, the body will compensate for his untruthfulness by displaying cover actions. Cover actions can be almost imperceptible nuances that occur when people lie, or they can also be exaggerated expressions. Nothing succeeds like success. When a person becomes confident about his ability to lie in a negotiation, and he continuously gets away with it, he will continue to lie. In most cases, he will become emboldened to increase the intensity of his lies. You’ll have the opportunity to catch him in a lie. •	People will tend to use phrases that make them feel comfortable. Take note of the comfort phrases that a person uses and note the change that occurs when he alters such phrases. When change occurs, he could be in the process of entering into a lie, or fully engaged in it. •	People will lie to make themselves appear to be more impressive or demur. The lie will usually be accompanied with body language that exemplifies the stature of the liar. Such gestures may be observed as when the individual raises his head higher, or thrusts his chin or chest forward when seeking to be perceived as being more impressive. A demur individual will tend to bow his head and present a less impressive image. •	People will also lie to get out of tough situations. Such maneuverings will usually be accompanied with gestures that reveal their discomfort. Thus, they’ll tend to keep their arms close to their body. They’ll also tend to be more reflective, as they try to keep their story on track. In any situation, before you can discern if someone is lying, you have to establish her baseline. That means, you have to be aware of how she gestures and use verbiage in normal environments. Then, as you seek to detect lies, note the differences between what is normal to what becomes different from normal. Therein will lay the signal to delve deeper into what she is saying. 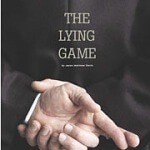 Once you discover how to hone your skills to detecting liars, it will be increasingly difficult for someone to lie to you successfully … and everything will be right with the world. •	When you suspect a liar is lying, don’t be too quick to stop him. Observe the verbiage he uses and his body language. The more comfortable he becomes with his lies, the more lies he’ll tell. In so doing, he’ll give you greater insight into how he lies and why he lies. Then, you’ll know what to look for when you suspect he’s lying. •	If you’re astute at reading body language during a negotiation, you can pick up on nonverbal signals and detect a liar’s lie before he gets too deeply into it. In so doing, you will decrease the probability of being deceived. •	People lie because they’re seeking something they need at the time of the lie. In a negotiation, if you understand the need, you’ll understand the source of the lie. From that perspective, you can address it. by Greg Williams – The Master Negotiator. If you’d like more information on how you can become a savvier negotiator, click here to checkout Greg’s new book, “Negotiate: Afraid, ‘Know’ More.” Please visit The Master Negotiator‘s website at http://www.TheMasterNegotiator.com for additional information and negotiation resources for individuals and businesses.